Pro Santa Shop is dedicated to providing the highest quality Santa equipment and supplies to the Santa community. Many items we provide are custom made and we welcome ideas to make you the most outstanding Santa and truly PROFESSIONAL. Protection you need, peace of mind you deserve. Keeping your financial information secure is absolutely essential when buying online. Whether it’s ecommerce, sending money or buying with debit and credit cards online, we trust PayPal to help keep your transactions secure. We use PayPal who supports a large number of credit cards, including Visa, MasterCard, American Express, Discover, JCB, Diner’s Club and EnRoute. Any non custom made product is exchangeable or refundable within 30 days of delivery. 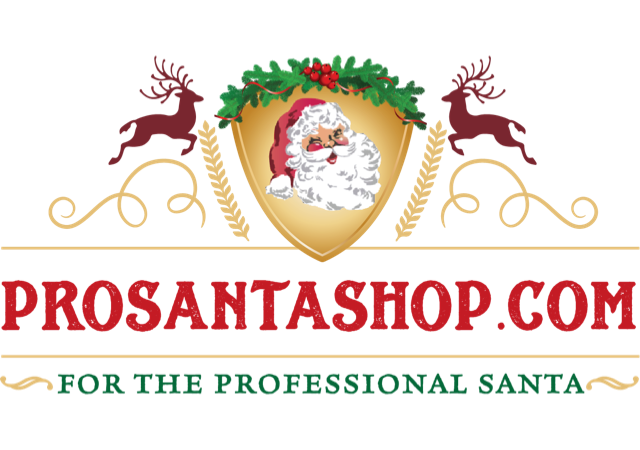 Contact me personally via our contact form or phone 704-502-2500 to discuss any issue related to ProSantaShop.com. I will respond as quickly as possible. I bought this Santa bag for use in the 2017 Christmas season and I must say it was fantastic! It was a real eye catcher and got lots of attention from children and adults alike, It’s look is one of a kind and it’s craftsmanship is beyond compare. You can’t find anything like this at your local party store! It has a great draw string and several smaller Velcro pockets inside the main bag to hold my books, candy canes and even Santa’s wallet. Professional Santa’s, You don’t want to miss out on this bag!